Sultan Choudhury is Chief Executive Officer (CEO) and Director at Al Rayan Bank PLC, formerly known as Islamic Bank of Britain (IBB). The Bank’s longest-serving employee, Mr Choudhury joined the Bank when it was formed in 2004 and was part of the founding management team of Western Europe’s first authorised Islamic Bank. Since then Mr Choudhury has set up Al Rayan Bank’s Head Office operations and Branch Network. He has also led the development and implementation of its full product range and service delivery channels. As a result, Al Rayan Bank now offers the largest range of Islamic retail financial products in the UK and has attracted over 50,000 customers. Most recently, Mr Choudhury successfully oversaw the Bank’s acquisition by Masraf Al Rayan QSC (Al Rayan), a Qatar-based Islamic bank. 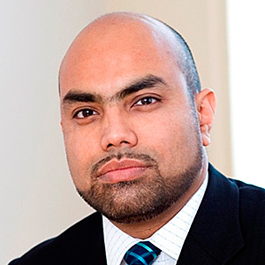 Mr. Choudhury is a member of various community and advisory groups and has contributed significantly to the development of Islamic Financial Services in the UK. Mr. Choudhury previously held roles at Charles Schwab Europe, Barclays Private Bank and Deloitte. A Chartered Accountant (ACA), he holds a BA (Hons) in Economics & Econometrics from University of Nottingham and an MBA with distinction (University of Aston). Mr Choudhury is also a Chartered Member of the Chartered Institute for Securities and Investment for whom he sits on the Employer Panel for the Islamic Finance Qualification.